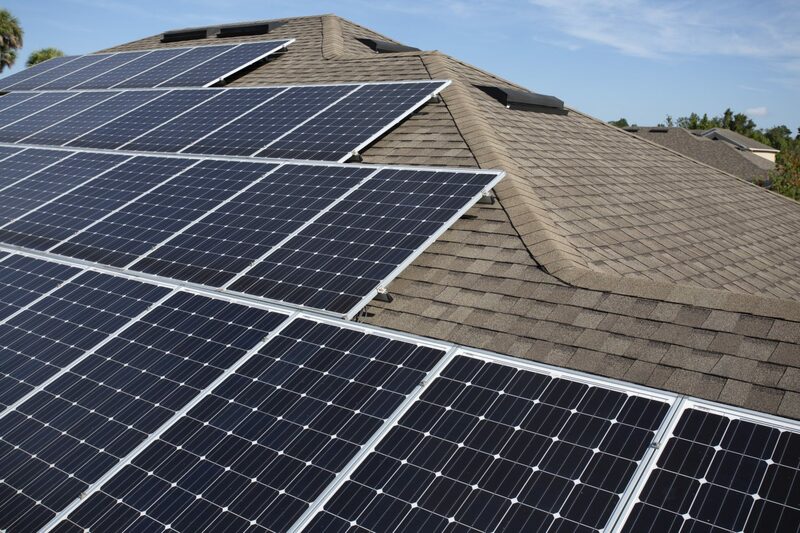 Photovoltaic (PV) solar panels absorb sunlight as a source of energy to generate electricity. A (power) inverter is an electronic device or circuitry that changes direct current to alternating current. Monitoring systems allow you to track performance, energy usage and reports damages to your system. Battery Energy Storage Systems (BESS) stores energy via the use of a battery technology for it be used at a later time. Energy storage units are designed to work with home solar PV units to store excess electricity generated during the day instead of feeding it back to the grid. 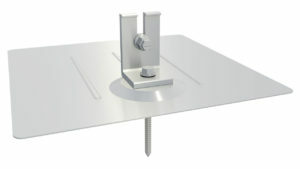 A solar racking system is used to safely fix solar panels to various surfaces. Heliene’s solar energy collectors combine European technology with North American ingenuity. Heliene continues to be one of the industry’s strongest North-American based manufacturers. 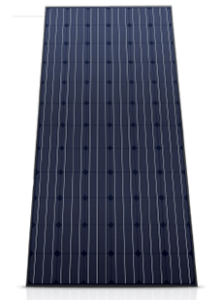 Hyundai Corporation offers a full range of green energy products for commercial and residential applications. 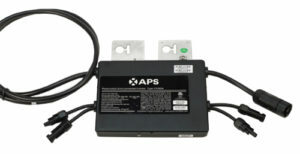 APsystems’ flagship microinverter, the bestselling YC500 microinverter handles two PV modules simultaneously with dual MPPT. 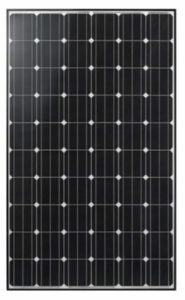 Up to 14 solar modules (7x YC500s) can be installed in a string with a single 20A breaker. All APsystems microinverters are engineered to be inherently compliant with 2014/2017 NEC 690.12 requirements for Rapid Shutdown out of the box, ensuring the safety of system installers and emergency responders. 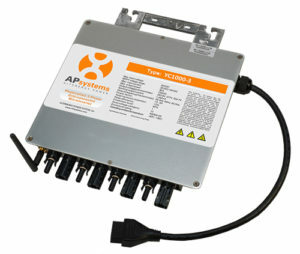 The APsystems microinverter offers intelligent monitoring through our state-of-the-art Energy Communication Unit (ECU). The unit collects module performance data from each individual microinverter and transfers this information to an internet database in real time, requiring only a single data and power cable. SMA has been developing and distributing high-quality PV inverters and innovative technology for intelligent energy management for over 30 years. We offer you the right device for each application: for all module types, for grid-connection and feeding into stand-alone grids, for small house systems and commercial systems in the Megawatt range. Reduce costs across your entire residential business model. Installation has never been easier thanks to SMA’s Installation Assistant, direct access via smartphone, and integrated DC disconnect. Available in various sizes. Chilicon Power offers energy generation and control systems for residences and commercial buildings. 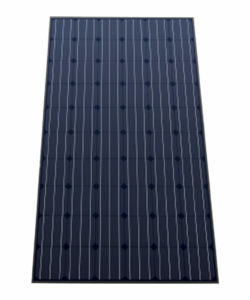 Chilicon Power has developed a world-class module-level power electronic (MLPE) product line that includes smart home features unique in the solar industry. 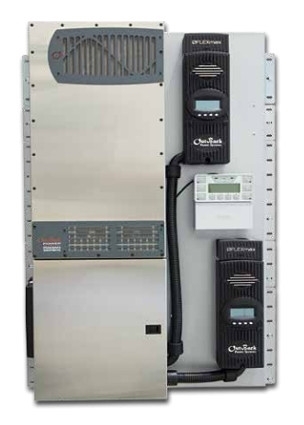 Chilicon Power CP-250E inverter performance leads the industry with sustained power production. The CP-250E provides 290W of continuous output for both 60 and 72 cell panels and can be paired all the way up to 245W modules. Backed by a 25-year warranty, this powerful inverter contains no electrolytic parts and performs extremely well in hot climates. The CP-100 Gateway features a beautiful 7″ touchscreen with a color graphic display that can easily be flush mounted onto a wall. Powered by an extremely robust PLC, the Gateway seamlessly communicates with the inverters, reducing troubleshooting issues down the road. An all-in-one smart hub, the Gateway offers total energy consumption and home security options, along with a self-supply mode that allows you to match the local load without exporting to the grid. 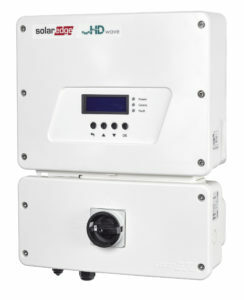 The SolarEdge single-phase inverter combines sophisticated digital control technology with efficient power conversion architecture to achieve solar power harvesting and best-in-class reliability. The single-phase inverter comes with a built-in DC safety switch, integrated rapid shutdown and standard 12-year warranty. 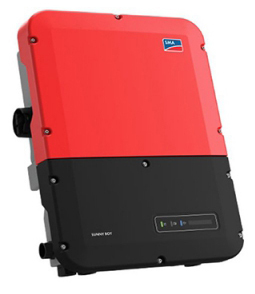 SolarEdge’s single phase inverter with HD-Wave technology, winner of the prestigious 2016 Intersolar award and the renowned 2018 Edison Award, breaks the mold of traditional inverters. Using a novel power conversion technology that is based on a distributed switching and powerful DSP processing, the single-phase inverter is able to synthesize a clean sine wave that leads to a dramatic reduction in the magnetics and heavy cooling elements. 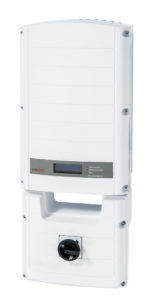 This small and lightweight inverter enables simplified shipping and storing and one-person installation. The record-breaking 99% efficiency allows more energy production for an improved ROI. 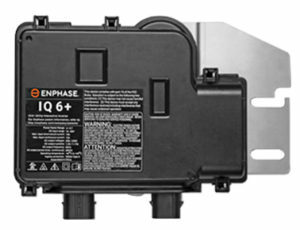 The smart-grid ready Enphase IQ6 Microinverter is built on the 6th generation platform and achieves the highest efficiency for module-level power electronics. It’s polymeric enclosure and revolutionary cabling system simplify installation. 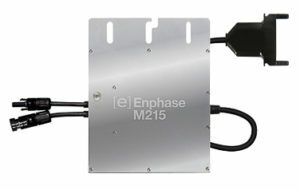 The Enphase M215 is the basic building block for 208/240V systems. Like all 4th generation microinverters, it delivers higher production, greater efficiency and more rigorous quality standards than anything else out there. 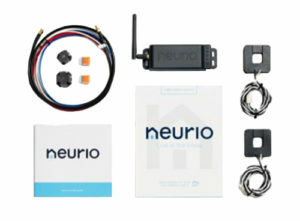 The Neurio Home Energy Monitor installs easily within the home’s load panel and provides extremely granular energy data that is used to reduce energy usage, monitor solar performance and plan for future storage needs. 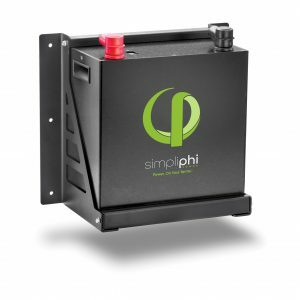 SimpliPhi Power designs and manufactures efficient, non-toxic and enduring energy storage and management systems that seamlessly integrate any power generation source—grid, generators, solar, wind—in conjunction with or independent of the grid. SimpliPhi’s PHI 2.7™ and PHI 3.5™ kWh non-toxic, cobalt-free LFP chemistry poses no risk of thermal runaway and offers top performance: full operation from -4° to 140°F, 98+% efficiency, 10,000 cycle life, deep depth of discharge, integration with all standard inverter charge controllers, and no need for cooling or thermal monitoring equipment to protect the warranty. Ideal for on- and off-grid commercial, residential, military, and humanitarian deployments. Field-proven for 15+ years with a 10-year warranty. 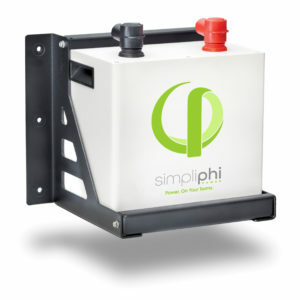 SimpliPhi Power designs and manufactures efficient, non-toxic and enduring energy storage and management systems that seamlessly integrate any power generation source – grid, generators, solar, wind – in conjunction with or independent of the grid. 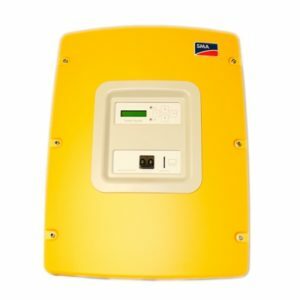 SimpliPhi’s plug-and-play, all in one AccESS streamlines equipment and costs by integrating power storage into new/existing on/off-grid solar installations. AccESS combines PHI batteries with inverter charge controllers, power electronics, and system management in a NEMA 3R outdoor-rated box. Available in 10.5 or 6.8kWh, AccESS can scale up and be safely installed indoors or outside in temperatures from -4° to 122° with no risk of thermal runaway or fire. sonnenBatterie energy‘s storage products aim to provide clean and affordable energy for everyone. sonnen can integrate with new and existing solar power systems to turn your house into a smart energy home—using more of the solar energy you generate during the day to provide power at night and for peace of mind when the grid goes down. sonnen intelligent energy storage products help customers by allowing them to use clean, reliable and cost-effective energy. 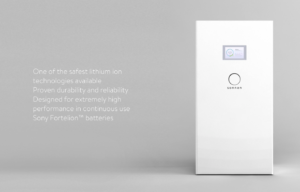 What makes sonnen unique is their proven ability to provide best in class, clean energy products and services that are easy to use. 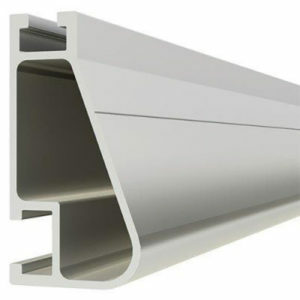 IronRidge designs and manufactures structural hardware for residential and commercial solar systems. Grounding Mid Clamps simultaneously fasten and ground solar panels. 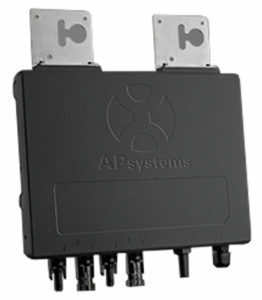 Each clamp bonds with the module frame and the rail to form a parallel grounding path that is repeated throughout the array. 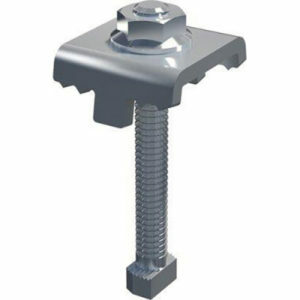 IronRidge FlashFoot™ replaces separate standoffs, flashings and L-feet with a design that incorporates both structural & waterproofing features.